​There’s nothing quite like going to the mailbox and finding tucked between your normal every day pile of bills and junk mail, an envelope with your name hand-lettered in a beautiful script. Someone thought about you. Someone spent some time on you. Someone wants you to join them somewhere. One of the most special things I am ever asked to do is hand-letter wedding invitation envelopes. It’s such a privilege to be able to participate in a small way on someone’s most special of days. Today’s scripture is a familiar one for me. I’ve studied it, memorized it, illustrated it. It’s a beautiful message directly from Jesus himself, an offer of rest. ​At the time and place when Jesus spoke these words, it was widely recognized that the “yoke” symbolized the burden of the religious laws and legalism imposed on the people by the Scribes and Pharisees. If we jump ahead to Matthew 23, we see Jesus heaping seven woes on the religious leaders beginning with their hypocrisy. “For they preach, but do not practice. ​Jesus, by contrast, came with a message of salvation based on God’s love NOT man’s works. He didn’t offer a complicated set of activities someone needed to accomplish so they could receive the reward of salvation, no He preached that one simply had to believe. This salvation that Jesus offered meant the people could lay down their yokes of religious performance and find rest in God’s grace. “For by grace you have been saved through faith. And this is not your own doing; it is the gift of God, not a result of works, so that no one may boast.” Ephesians 2:8-9. ​Even today this can be a concept we have difficulty with. We may know these things to be true, having read and understood them, but we live in a culture that is totally performance driven and our worldly view can influence our spiritual view. Just like it did for the Scribes and Pharisees. Yes, we are to be obedient to God in our actions, but this obedience is not what brings us our salvation. Our obedient actions are evidence of our salvation. 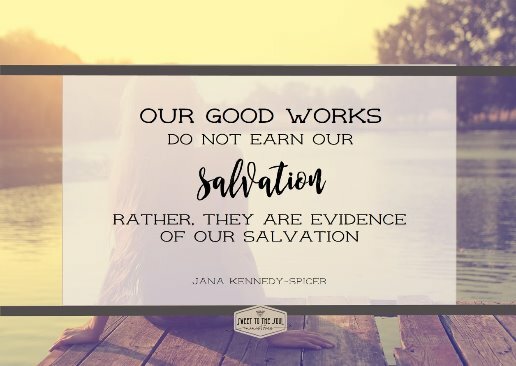 ​Our good works do not earn our salvation, rather they are evidence of our salvation. ​One of the most beautiful things about studying the Bible is that it is always teaching. God can reveal new things from familiar words or bring fresh perspective from something we’ve seen over and over. Studying today’s scripture, this happened to me. All of the above is a valuable lesson for us to draw from these verses in Matthew 11, but today, three little words leapt off of the page at me: Come to me. Almost 30 times in the New Testament, Jesus issues the invitation to come to Him or to follow Him. This is an invitation to know and trust Him personally, not to merely believe some historical facts about Him. God desires a personal relationship with each and every one of us. Jesus is our personal hand-written invitation from Him. His love is there for us to receive, there is nothing we need to do to earn it, there is nothing we CAN do to earn it. In this place of relationship with God, when we choose to be in His midst, this is where we find true peace and rest for our souls – for our time here on Earth and for our eternal rest with Him. Can you imagine God singing over you? Just like the guests of a wedding sing and celebrate the newlyweds, God sings and celebrates each of us. And so I’ve learned that rest IS available to me, but I have to choose it. I choose it with my heart and prayers, but I also choose it with my actions. I need God to show me which of my actions are spawned from genuine faith-based obedience and which of my actions are burdensome religious performances. Oh am I brave enough to ask? How about you friend? Are you burdened down with empty performances aimed at meeting someone’s religious expectations? Meeting your own self-imposed expectation? Let’s be brave together. 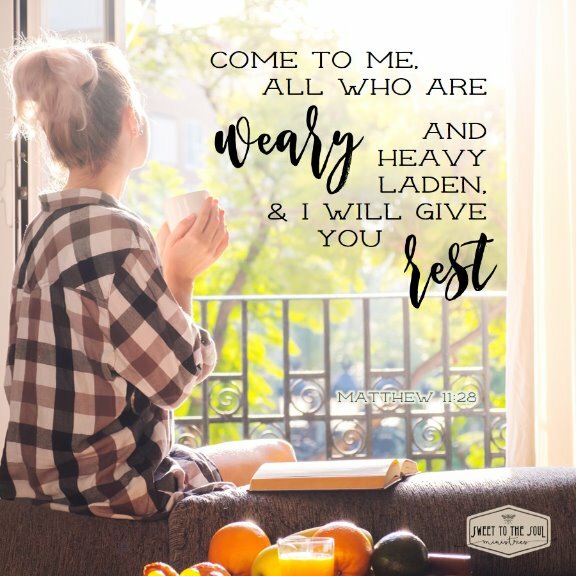 Let’s lay these heavy burdens down, let’s trade the yoke of legalism and performance for Jesus’ yoke of grace and choose to accept the beautiful gift of rest for our souls that can only be found in Him. Lord God, you grace and love abound at a measure that we cannot understand. That you would want to have relationship with me, is utter amazement to me, yet my heart wants to draw nearer every day. Father, help me to lay down my burdensome yoke, to let go of the things you instruct me to let go of, and to pick up your yoke. Thank you for sharing the load of my sin. Thank you for offering yourself in my place. Thank you for bring rest to my weary soul. In Jesus name, AMEN. 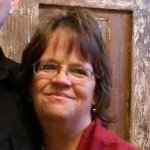 ​Jana Kennedy-Spicer is a wife, mom and Nana who is passionate about inspiring and encouraging women on their daily walk with Christ. A woman rescued and repaired by the grace of God, she loves to share about the realness of God's love, redemption and faithfulness. 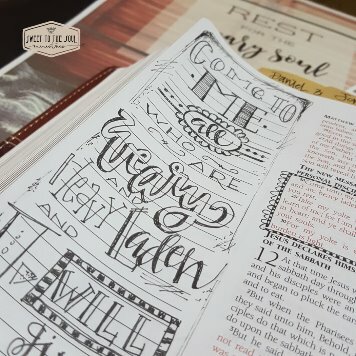 Embarking on a new life journey, she is dedicated to using her blogging, Bible teaching, writing, photography, drawing, painting and graphic designs to bring glory to the Lord. Faye, thank you for your encouragement! Love your assessment... " get back to the basics " Yes!! It's so true isn't it about a personal invitation if we just pay enough attention to accept it! My Miss 4 loves and lives for birthdays and making people cards and decorating their envelopes to send to them. I hope it brightens the postie's day too! What a beautiful post! 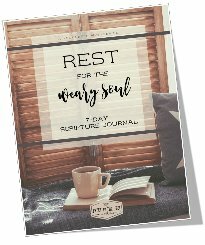 I truly enjoyed this reminder of the invitation to just rest with and in Him! Thank you for sharing this!